Research by Newsweek Vantage confirms that the concept of a circular economy has gone from relative obscurity to the corporate boardroom in just a few years. In an October 2018 survey of 317 senior executives from large corporations around the world, fully 98% were familiar with the concept. Thirty percent said their company had a circular strategy, and over three-quarters plan on adopting targets to make their products, processes or business models more circular in the coming five years. The circular economy’s central aim is to extend the life of all the goods and materials being bought, sold, used and discarded daily, throughout our societies, in order to curb extraction, pollution and waste. As such, it has come to be seen as a vital tool in the fight against environmental crises such as climate change, biodiversity loss, resource scarcity and pollution. REduce. Using design and manufacturing technology to lower material, energy and waste footprints. REuse. Offering subscription, leasing or sharing models, rather than basing business on one-off sales. REmake. Designing products that can be more easily repaired or “remanufactured” into new products. REcover. Turning by-products into new products or adding recycled content to products and packaging. REnew. Substituting renewable for finite materials and focusing more on sustainable sourcing. Practitioners describe circularity as a tangible approach to resource efficiency that companies can “wrap their arms around”—one with benefits which go beyond meeting sustainability goals. Indeed, an overwhelming majority of executives we surveyed (95%) saw the transition to a circular economy as a positive for their organization, citing access to new markets, improved competitiveness, enhanced image and higher revenues among the leading perks. Yet our research also finds that circularity is more than just an add-on to corporate social responsibility or sustainability strategies. It requires a complete product and business model rethink, starting at the choice of material through to how products are designed, made, used—and disposed of. Lack of know-how, technology and partners were the main challenges cited by survey respondents. To get it right, companies need to collaborate in-house—especially with procurement, design and commercial teams—and throughout the supply chain. This opens the door for new “circular enablers” who can facilitate exchanges, build coalitions, and fill gaps in technology, services and know-how. Can Extended Producer Responsibility support the transition to a Circular Economy? Hey Buddy!, I found this information for you: "Newsweek Vantage research: How global business is embracing the circular economy". 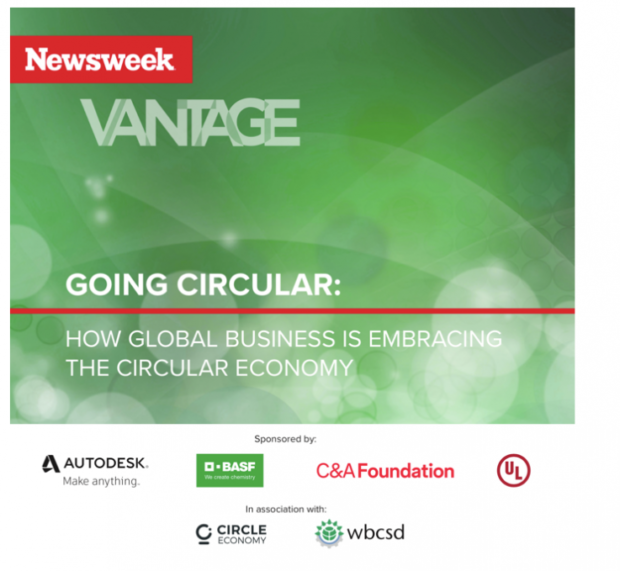 Here is the website link: https://www.duurzaam-ondernemen.nl/newsweek-vantage-research-how-global-business-is-embracing-the-circular-economy/. Thank you.